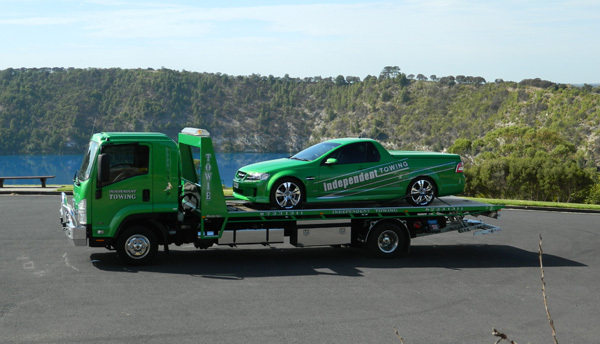 CALL MT GAMBIER’S 24 HOUR TOW TRUCK SERVICE NOW! We pride ourselves on our speedy response to any situation that requires towing, day or night. Our friendly staff will respond to your call whenever you need us. We understand that when you need a towing service, you want the fastest possible response. Towing local or towing long distance we always aim to keep our prices as low as possible to provide the best value towing service possible. We offer 24/7 roadside, trade, accident and general towing service. Our success is based on a professional, fast and friendly service. With competitive prices and excellent customer service, you can rely on Mt Gambia Towing to get your vehicle to where it has to be. Towing a caravan can be dangerous, particularly on roads that are new to drivers, couple this with driver tiredness and Caravan accidents can occur. Country roads and those surrounding Mt Gambier, are often difficult due to weather conditions and caravan crashes that do occur need prompt attention. Our specialist Mount Gambier Towing team can deal with all aspect of a caravan road accident. In Caravan crashes there is often debris that must be attended to and Mt Gambier towing know exactly what the responsibilities are for drivers involved in Caravan crashes. Similarly towing a damaged caravan needs specialist knowledge and if the towing vehicle has been damaged there is often the towing vehicle and the caravan be towed . Does the damage to the caravan allow the caravan to be towed or does the caravan need to be loaded onto a tilt truck. Mount Gambier Towing has the right sized towing truck or tilt tray truck to take your Caravan to the caravan repairer of your choice.